"write books that took what many considered to be unimportant bits of life and gave them beauty, shone light upon their meaning." That phrase really grabbed my imagination. Here was kindred spirit -- someone who loves to find the beauty in life, even in ordinary rituals, like cooking. The first time I read it, I savoured it over several sittings. I didn't want to finish too quickly, kind of like slowly nibbling on the last chocolate in the box. And, when I finally read the last page, I went back to page one and started it all over again ... this time I read it aloud to my hubby. It was so evocative and sensual to read it out loud -- to hear the words seemed to create a deeper, richer flavour. Somehow you could feel and taste and smell, almost even touch. If you are interested in finding out more about the book or reading any reviews, check out these two: Staci at Life in the Thumb, who first got me intrigued, and Bonnie at Redlady's Reading Room, who just posted a guest posting by Erica herself. 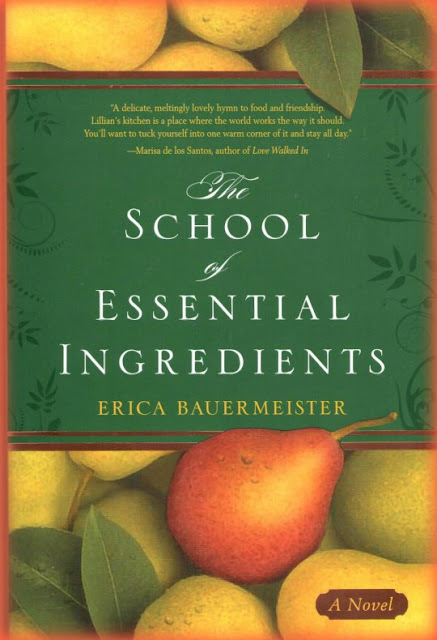 As well, if you'd like to learn more about the author, Erica Bauermeister, click here for her website. Terri -- Yep, I have to agree,my hubby certainly is awesome! And I'm grateful that, as much as he enjoys 'boy' things, he has a gentler nature that also enjoys the beauty of life and Nature. interesting suggestion for writing also. I find my focus these days is on writing writing and more writing... maybe at a later time I'll find more time for reading-sounds like an interesting book. Your post was outstanding. I totally agree with you in regards to being able to taste,feel and smell the book!! Thanks for your including me in your post!! I'm so thrilled that you loved this book too. Wasn't Bonnie's post great? I love Erica and can't wait for her next book!! Hope it's food related! The asuthor certainly sounds like a soul mate. The simple day to day things that make life full are of great import to me as well. I'd like to purchase a copy of the book, take a few days to slip between it's covers and absorb her thoughts. Thanks for the tip.